Komen Houston, an affiliate of Susan G. Komen for the Cure, continues its commitment as a fundraising and grant-making organization and as a leader in the fight against breast cancer in its seven county service area – providing the Best Science, the Boldest Community and making the Biggest Impact. More early detection: Nearly 75% of women over 40 years old now receive regular mammograms, the single most effective tool for detecting breast cancer early (in 1982, less than 30% received a clinical exam). before it spreads beyond the breast, is now 98% (compared to 74% in 1982). breast cancer research, treatment and prevention (compared to $30 million in 1982). 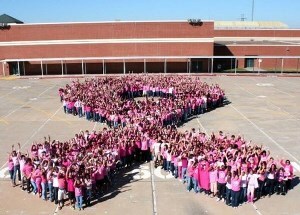 More survivors: America’s 2.5 million breast cancers survivors, the largest group of cancer. by empowering people, ensuring quality care for all and energizing science to find the cures. Please join us in our effort to eradicate breast cancer as a life-threatening disease. Your donation supports breast cancer education, screening and treatment in Brazoria, Chambers, Fort Bend, Galveston, Harris, Liberty and Montgomery counties in Texas. The Komen Houston Affiliate also funds national cutting-edge breast cancer research through the Komen Foundation Award and Research Grant Program. Together we can find a cure.